← What Qualities make a Great Older Wine? Here in the US, it has certainly been an intense week with our Presidential election. Even though my candidate did not win, I respect that we live in a democracy and that citizens have the right to vote for anyone, or to not vote at all. But it can be sad, at times, to know that we are divided – difficult to feel connected to all our countrymen and countrywomen – let alone the rest of the world. 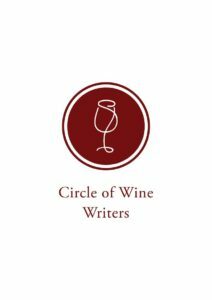 I desperately needed to find inspiration, and I quickly found it reviewing my notes (both written and audio) from an Israeli wine lunch I attended a couple of weeks ago. 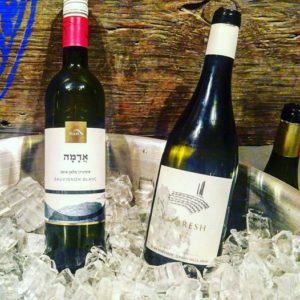 Although I understand other writers’ past articles written about Israeli wines wanted to focus on the politics and/or the religious Kosher aspect of the wines, I have felt that these articles were missing the most important facet of wines from Israel – the new wave of passionate grape growers and winemakers. But I do have to give kudos to Wine Spectator for recently writing a thorough report, the cover story even, about Israel as an “emerging region” for wine. If there is one hope that I have for my country, as well as the world, it is the idea that passionate artists, such as high quality wine producers, will continue to elevate our hearts and spirits to lift us beyond superficial labels, so we remember that all of us are part of the same journey of life. It was the passion of these wine producers that lifted, and continues to lift, my spirit – showing me how we can “come together”. 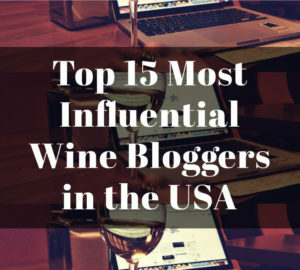 Each of their stories was one connected to not only their love for making great wine but their great desire to share it with everyone around the world. 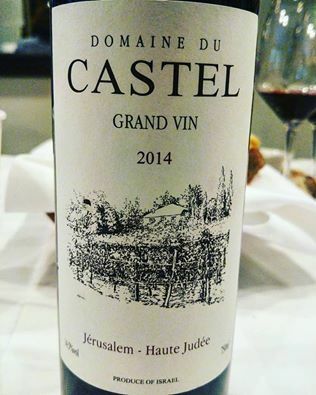 The founder of Domaine du Castel, Eli Ben Zaken, is considered a pioneer of winemaking in Israel. But I have to quote his feelings about being called a pioneer, “I was not a pioneer because I didn’t have a dream.” In 1988, he was prompted by intuition, or may I use the word passion, to plant a small vineyard with Cabernet Sauvignon and Merlot by his home in the Judean Hills. 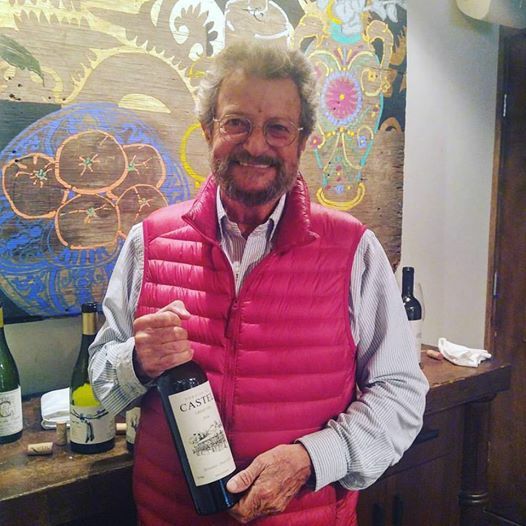 Eli taught himself winemaking from Emile Peynaud’s famous book, “Knowing and Making Wine” and he tried, and certainly succeeded, in living up to the highest standards of French winemaking. Some Francophiles may call his small, artisan wine endeavor a “garage wine” but since they originally crushed the grapes in an empty stable next to a chicken coop, he called it a “stable wine”. 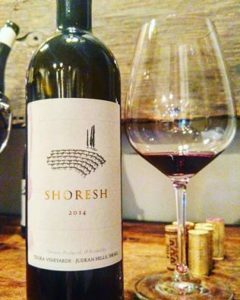 Even though it was unintentional, and small production, he planted the seed in many Israeli producers’ minds that one could make high quality wines in Israel. 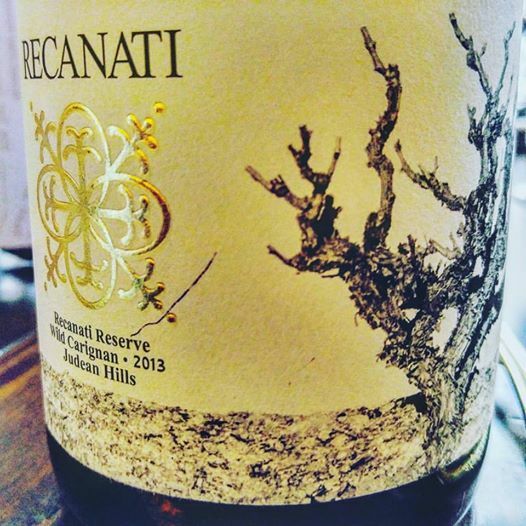 Earlier this year, I had gone to a wine press lunch in NYC to taste the wines of Recanati Winery, so it was lovely to see the head winemaker, Gil Shatsberg, and owner, Lenny Recanati, again. They are making some exciting wines, ranging from an indigenous white variety called Marawi, grown by a Palestinian farmer, to a dry-farmed Carignan on bush vines, grown by an Arab Christian. 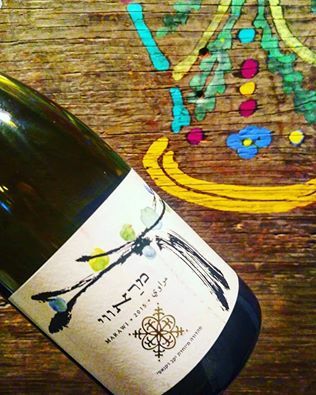 These projects are a desire to not only find an identity for Israeli wines, but are symbolic of how various types of people can come together to produce a product filled with passion to share with the world. These stories of people working together in harmony are unfortunately not the stories that make the headlines, but they are the most representative of how many people are living. Recanati is also a believer in Mediterranean varieties such as Syrah and Petite Sirah, which I tried at their previous tasting. 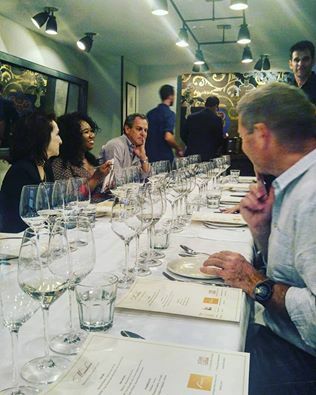 Gil talked about the wine legacy of Israel, as winemaking has been documented as far back as 3,700 years ago, as well as the recent, fast improvement in their techniques in the vineyards and wineries. They believe that Israeli winemakers are just starting to scratch the surface of discovering the true potential of their various terroirs (soils and micro-climates). 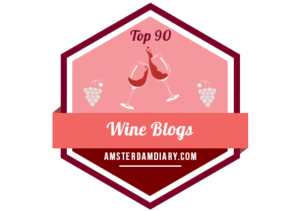 It is a country with an ancient winemaking tradition that could potentially become an exciting emerging wine region for the world to discover. 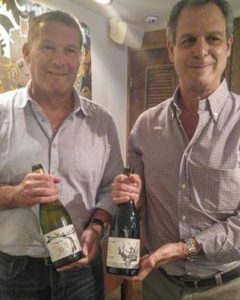 Eran Pick is not only the first Israeli Master of Wine and winemaker and general manager of Tzora Vineyards, but he is also a friend. He contacted me about setting up this lunch in New York City for himself and other producers representing three other wineries. It was the first time, inside or outside of Israel, that they had come together. 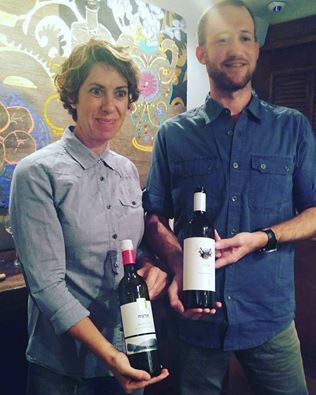 Eran is someone who is open to seeing things from different points of view, and even though he has his own opinions about his style of winemaking, he has a desire to showcase all of the quality producers in Israel. 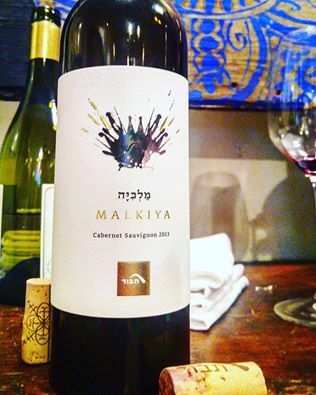 His goal is to not only see his own wines in a prime place on the shelf in a respected retailer, but he has a more inclusive dream of having an Israeli wine section in retail stores as well as top restaurants. 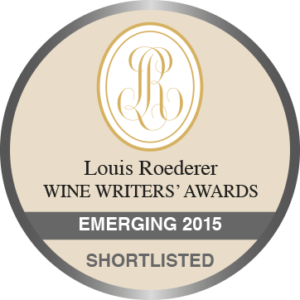 He has a passionate, noble vision of Israeli producers working together to reach a wider audience of wine lovers. 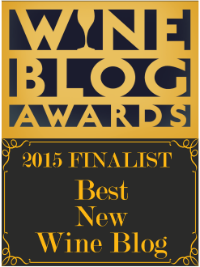 I have tasted Eran’s wines a few times and I have always been a fan. Sometimes I wish he was not so modest about his skills as he is an incredibly talented winemaker. He is a big believer in red blends, and it was interesting to learn that he never blends based on knowing the grape varieties. Each year he blends by taste, sometimes almost having a monovarietal wine in some years, or more of a blend in others. 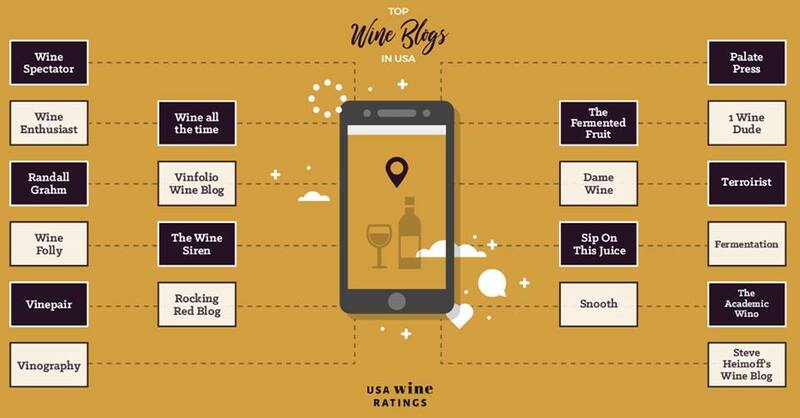 He doesn’t know which varieties or percentages of those varieties until he writes the analysis that is required for US paperwork to export the wines. Michal Akerman, the Agronomist (Viticulturalist), was the last to tell her story. At first she said that she didn’t think it would be of much interest, but we pushed her to tell it anyway. After she served her time in the Israeli army, she decided to travel, and since her family is originally from Peru, she thought South America would be a great choice to not only get the chance to meet her grandparents, but to experience other cultures as she traveled around the continent. She needed money, so she decided to work for a winery in Chile – this led to her falling in love with vineyards and wanting to know more about them. Michal would eventually wind up getting a Masters Degree (six years studying rootstocks) and attempting a PhD while also working with vineyards in South Africa and Cyprus, as well as Chile and Israel. She said that fifteen years ago, she convinced one of the largest wineries in Israel to hire her as their Viticulturalist – becoming the first one in the country. She said that up until that time, the work in the vineyards was never connected to the final product of the wine. Her work would help to grow vines in a way that would improve wine quality. She left this winery to pursue her PhD, but was quickly given an offer to work for Tabor Winery which would give her the opportunity to discover new vineyards in Israel. She left her PhD to devote herself to the task at hand with Tabor, and has now been there for a decade. Over those 10 years, she has found through her discoveries that Israel has more to offer, in terms of terroir, than she could have ever dreamt. 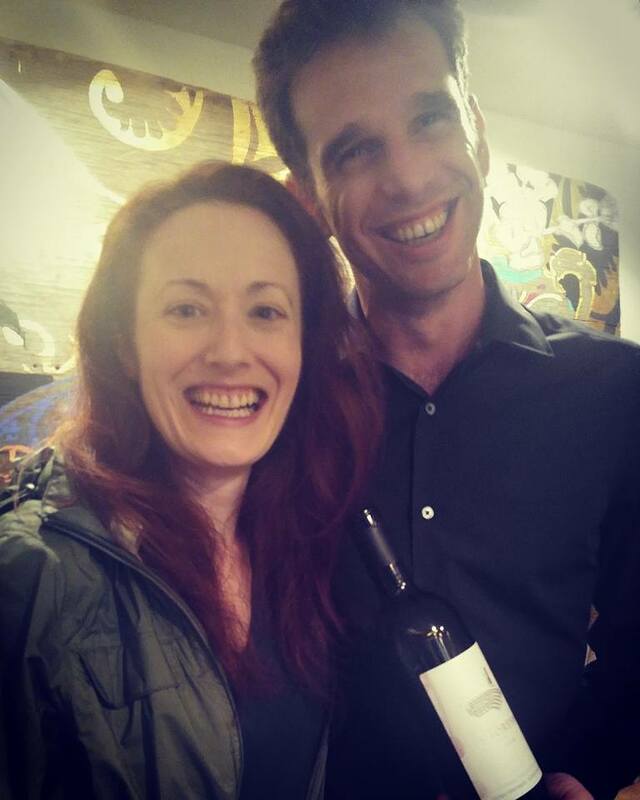 Michal’s passion and love for Tabor Winery’s vineyards were evident in her telling us about their Malkiya Cabernet Sauvignon wine. They bought and planted this vineyard in 2006, and from the first vintage in 2009, she knew it was special. The topsoil is terra rossa (a red clay that is commonly associated with the Cabernet Sauvignon fine wines of Coonawarra, Australia) but underneath, only 8 inches (20 centimeters) down, is one of the most unique soils she has ever seen in Israel. In English, it is called “a lot of stars” since there are limestone rocks throughout the soil that gives the visual impression of this name. She said that it was a piece of land that many of the local people thought to be undesirable for any type of crop, but that she somehow, to their amazement, was able to produce the best Cabernet Sauvignon she has ever seen, which, considering she has had 20 years of experience with this grape around the world is a pretty impressive statement. She gets tiny berries from this plot that taste like the wine when she tastes the grapes in the vineyard – concentrated blackberry, complex flavors – she goes to this vineyard once or twice a week because she is so amazed by it. I don’t think I have ever heard anyone talk about a piece of land with so much passion. Tabor is a large winery with a big portfolio, yet as one can see, by having someone like Michal Akerman overlooking their vineyards, they produce some pretty spectacular wines in their lineup. This is the big question that all of us in the US are asking ourselves, and considering other recent events in the Western World, I think many people in other countries are asking themselves this same question. We need to stop blinding ourselves to those things that divide us. We need to stop making assumptions of the politics or attitudes of someone just because of where they live. We need to meet people with open hearts to experience what they are passionate about so that we have a better sense of who they are that goes beyond the sound bites on social media and tv that tend to focus on the worst of humanity. 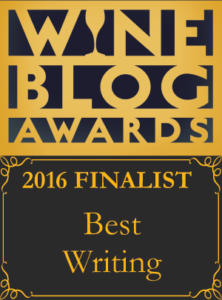 The questions we should be asking Israeli winemakers do not deal with the Kosher issue, because it has nothing to do with quality, or what they think of some Middle Eastern event that has been blown out of proportion by the media… We should be asking them about their wine, about their story, and about what they hope to share with the world through their wines. It was interesting to taste the first two whites, both Sauvignon Blanc wines, together as the first was more of a fruit driven wine and the second was a more textural wine. Both were nice expressions of Sauvignon Blanc. Also, it was interesting to learn that Sauvignon Blanc does well in certain areas in Israel, not only because of higher altitudes creating cooler micro-climates, but also the ability to pick Sauvignon Blanc early and not having to worry about phenolic ripeness since they do not ferment the wines on the skins. Also, it is possible to pick Sauvignon Blanc early and still have good development of aromas and flavors. -2015 Tabor Winery Sauvignon Blanc Adama: 100% Sauvignon Blanc from 40 year old vines and deep roots in limestone soil. Bright and crisp with zingy flavors of grapefruit and fresh thyme. -2015 Tzora Vineyards Shoresh Blanc: 100% Sauvignon Blanc. Fermented and aged in neutral barrels with lees aging create a wine with weight, white peach flavors and herbaceous hints on the finish. -2015 Recanati Winery Marawi: 100% Marawi. This vineyard is grown on pergola trellises and dry-farmed. A truly interesting white that had an intense, smoky minerality that comes from this indigenous variety. -2014 Domaine du Castel “C” Blanc du Castel: 100% Chardonnay. I must admit, I have never been a huge fan of Israeli Chardonnay wines, but this was quite impressive. Fermented and aged on its lees in French oak barrels (1/3 new). Spicy, nutty aromas with nectarine flavors and hints of caramel on the finish. A lovely example that proves that fine Chardonnay can be made in Israel. -2013 Tabor Winery Malkiya: 100% Cabernet Sauvignon. Michal Akerman’s description of the unique qualities of her vineyard certainly showed itself in this wine. A fiercely concentrated wine that had a generous quality with silky tannins and fresh black cherry flavors. A remarkable sense of minerality gave this wine a backbone of elegance that carries through the persistent finish. -2014 Tzora Vineyards Shoresh: 53% Cabernet Sauvignon, 43% Syrah and 4% Petit Verdot. A charming wine that showed harmony of its multi-layer fruit flavors that presented itself with a graceful texture and a pure, expressive finish. -2014 Recanati Winery Reserve Wild Carignan: 100% Carignan. In the 1880s, Baron Edmond de Rothschild’s first growers in the region planted Carignan, and it remained the most planted variety in Israel up until 9 years ago. 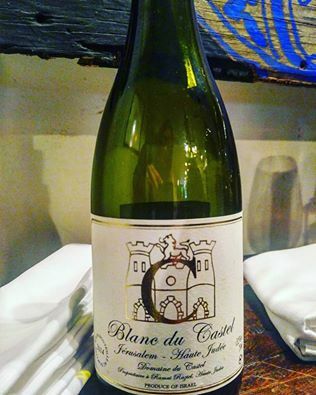 Also, since it is a grape variety originating from Southern France, it tends to do well in warm climates. Its popularity was due to its capacity to produce large yields, yet when grown under stressful, high quality conditions, it can produce exotically intoxicating wines such as this one. Grown on bush vines that are dry-farmed on chalky, limestone soil producing low yields. An explosion of brambly berries that had good structure and plenty of tannins and acidity that settled down with some aeration. This wine had complex notes of star anise, violet and crushed rocks. -2014 Domaine du Castel Grand Vin: The blend is always a majority of Cabernet Sauvignon, with the balance, in order of importance, being Merlot, Petit Verdot, Cabernet Franc and Malbec. This wine had serious muscle yet it was approachable with good flesh on the body and simply delicious cassis flavors and a fine, flavorful finish. Although drinking well now, I have a feeling this wine will only improve with time.